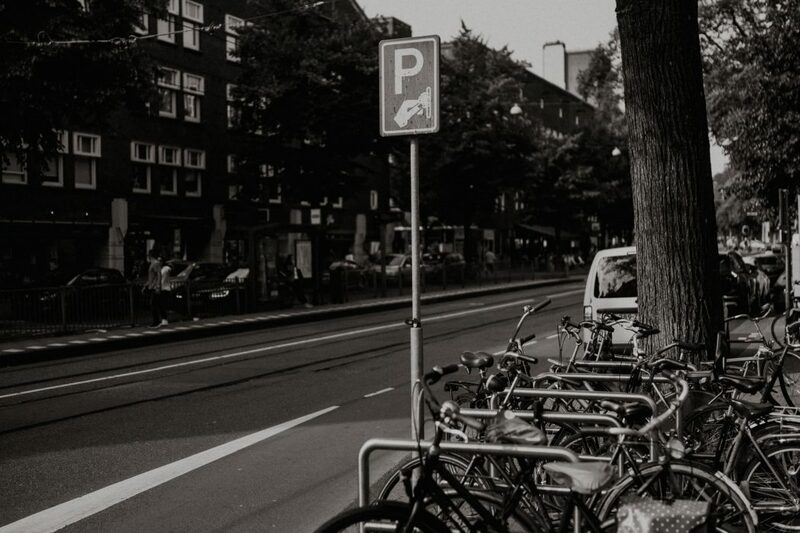 The Beethovenstraat in Amsterdam Zuid is a street with many stories. The street was given its name in 1925 and was named after the German composer Ludwig van Beethoven (1770-1827). Plan Zuid is an important and well-preserved example of the way in which the housing problems in the large cities were tackled from the start of the 20th century, with urban plans for a large number of houses. The plan, designed by H.P. Berlage, was realised from 1917. He tried to establish good links to the existing city in the plan, whilst the urban concept of the expansion itself was realised in accordance with aesthetic principles as much as possible: attention for a hierarchical street pattern and monumental accents. This Plan is still of international value and is globally seen as one of the most important urban plans from the first half of the 20th century. Berlage positioned the public and larger buildings at central points in his plan, which proved to be an important contribution to Plan Zuid’s monumental character. Berlage positioned the requested Academy of Visual Arts in the western part of the plan, along the axis of Stationsstraat, at the intersection with the main traffic road. An important point, featuring many traffic routes, seen as the start of the city and a link to the centre. This Stationsstraat (Minervalaan) would become the heart of the area, with its monumental traffic road and the pedestrian boulevard with shopping galleries. The Minervalaan was therefore supposed to have become a shopping boulevard with a public Academy on the spot where the Hilton Hotel is now located. The Beethovenstraat was subsequently created as a connecting road, mainly to the homes. 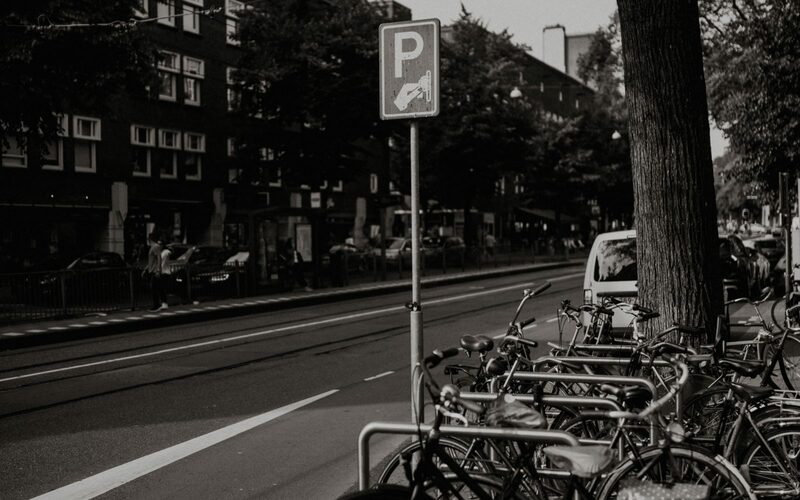 But as the Minervalaan hadn’t quite managed to get off the ground as a lively boulevard, the Beethovenstraat unintentionally took over this position. The newly completed homes were too expensive for most people and the combination of a store with living quarters at the back soon became very popular. The later changes to the original plan meant that the street had become a busier connecting road than had been the original intention and had therefore also become the busiest shopping street in the western part of Plan Zuid. 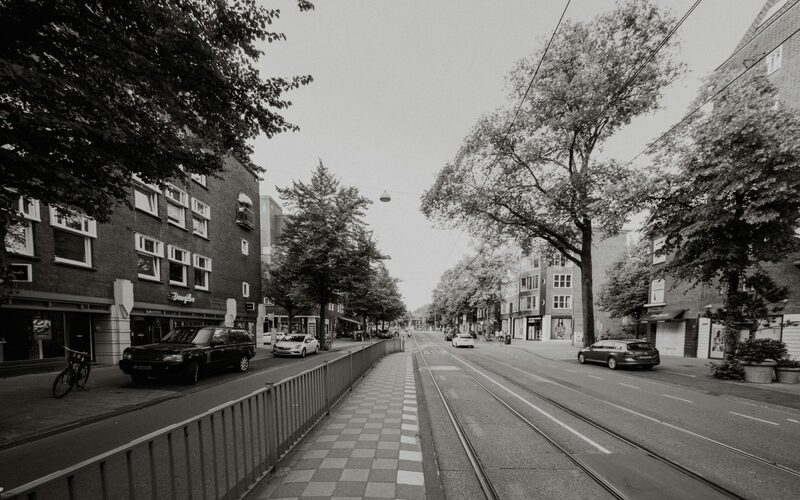 Tram line 24 has been running through the Beethovenstraat since 1929. The Beethovenstraat is surrounded by beautiful architecture. 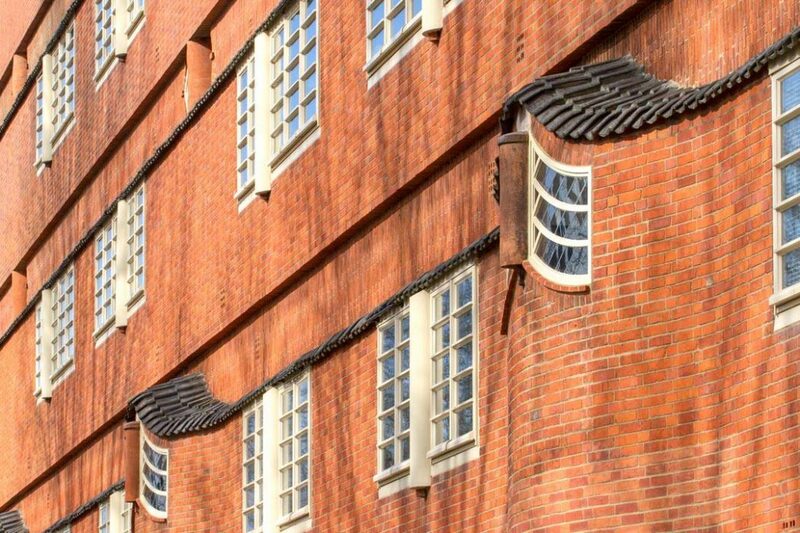 The Amsterdamse School is an architectural style which can be placed in the 1910-1930 period, which De Stijl, the Nieuwe Bouwen and expressionism also form part of. 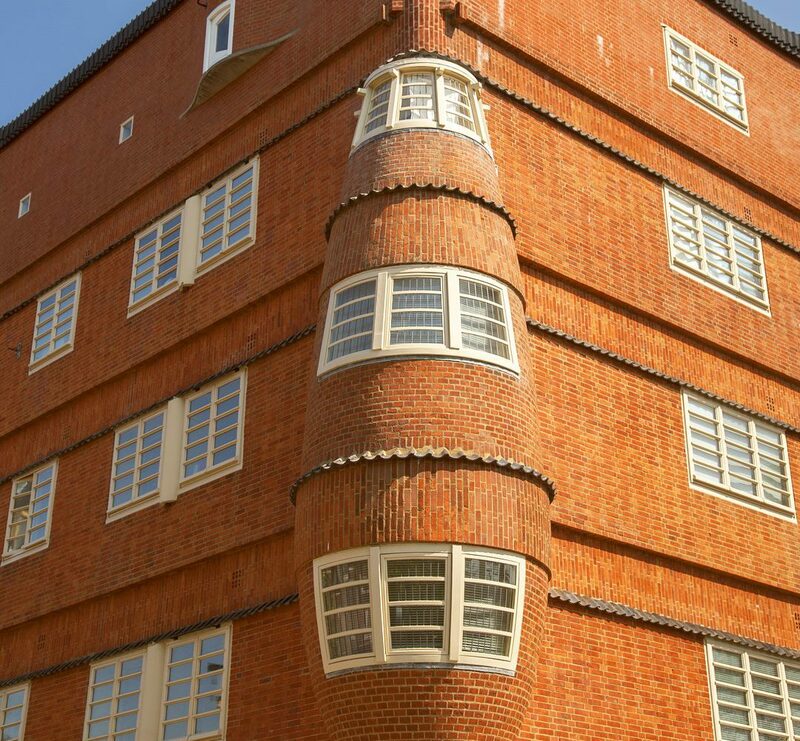 The Amsterdamse School is characterised by the use of expressive and fantastic shapes. In a sense, it’s also a reaction to the rational work completed by H.P. Berlage and his structural urban plan. You’ll also find the extraordinary First Open Air School for Healthy Children national monument. 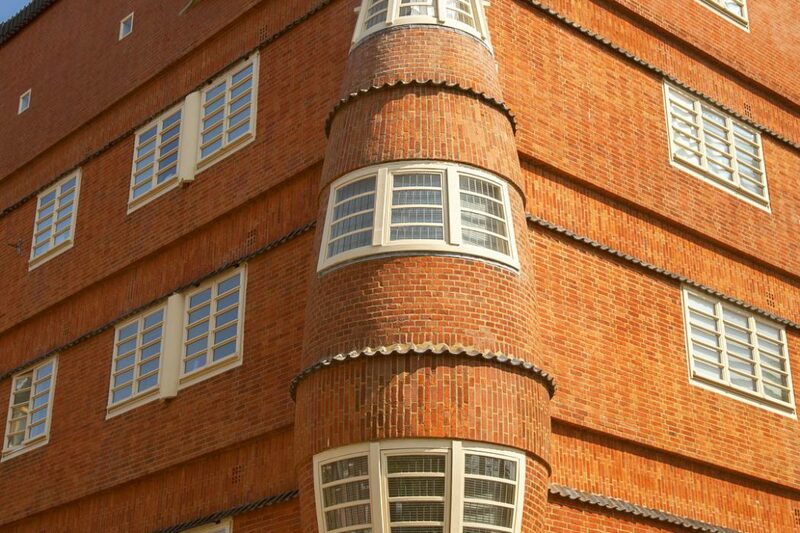 A beautiful school building dating back to 1930, designed by the Dutch architect Jan Duiker. The complex consists of a school building with an inner courtyard, as well as a gatehouse on Cliostraat (one of the Beethovenstraat’s side streets). The foundation stone was laid for the new Olympic Stadium in Amsterdam in May 1927. The ninth Olympic Summer Games took place in the summer of 1928 in Amsterdam Zuid and the surrounding area. More than 2,000 athletes from 46 different countries travelled to the capital of the Netherlands to take part in 109 events. There were a number of Olympic scoops in Amsterdam: the Olympic flame was first introduced this year and it was also the first time women were allowed to take part in athletics and gymnastics. 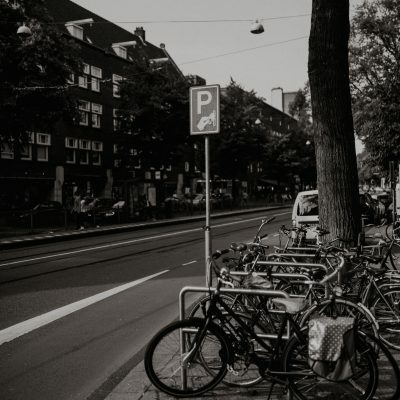 A huge number of German-Jewish citizens fled to the Netherlands once Hitler rose to power in 1933 (the country which had remained actively neutral during the First World War). Those who were let in mainly went to Amsterdam, to the newly built urban districts. This meant many German citizens came to live in the newly completed Beethovenstraat. A German enclave was created, with German stores selling German bread and sausages, German bookstores and German restaurants. The street also suffered many tragedies during the Second World War. 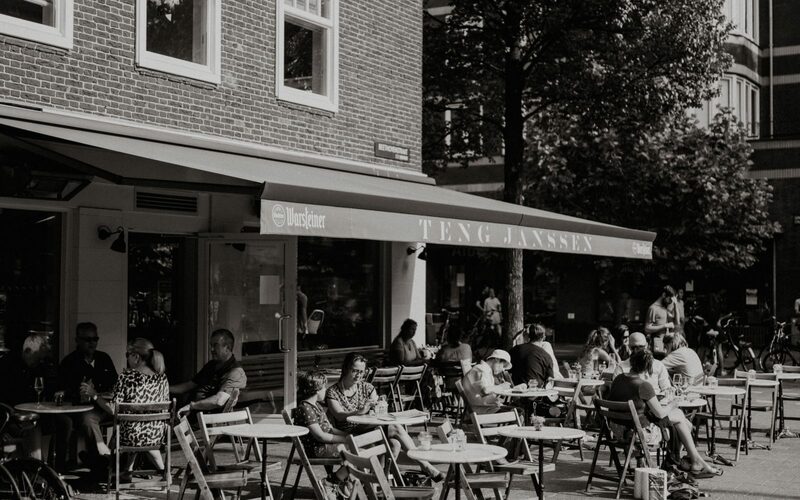 For example, the tram stop at the Gerrit van der Veen street (back then called: Euterpestraat) was used during the war to heavy-handedly put 18,000 people on the tram on their way to the concentration camps, where death sadly often followed. ‘The very first store in the Beethovenstraat was our wine store’, says Theo van Broekhuizen whilst laughing, I’m not quite sure what that says about the neighbourhood. B.J. de Logie moved from the Johannes Verhulststraat to the newly completed Beethovenstraat neighbourhood, in the year of the Olympic Games. Barend Jan (B.J.) was allowed to choose the location himself; he opted for the store on the corner of the square. The Beethovenstraat developed into a shopping street with national allure. The food supply became increasingly more varied. This was the place to be for superior steaks, posh wines and delicatessen from all corners of the globe. Het Parool wrote in 1970 that ‘nowhere else in Amsterdam or the Netherlands would you find such an enormous quantity of exclusive food as you would in the Beethoven‘. The municipality decided to make the street 500 meters longer in 2004 by christening the first part of the Van Leijenberghlaan into Beethovenstraat. Thereby ensuring the street formed a bridge to the dynamic Zuidas public. 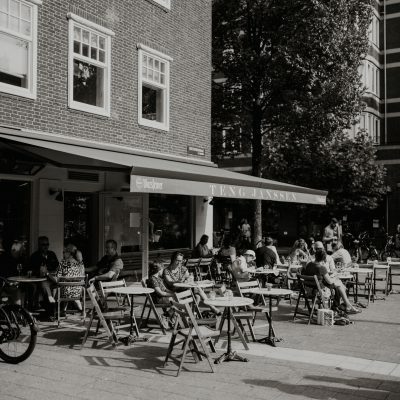 Anyone interested in finding out everything there is to know about the Beethovenstraat should read Frank van Kolfschooten’s book entitled ‘The Beethovenstraat – Hidden Histories’.